Twelve years ago this month, I got a contract to resell the ProfNet service. I had spoken about ProfNet in my speeches and realized the people in my audiences couldn’t afford it. So I contacted ProfNet and they agreed to let me resell their service. But they said I needed to make sure the people were experts and that I trained them and provided support. Reporters know we have the best experts so we get leads from the best reporters. It’s a win-win. We still provide hands-on support and training and feedback for our clients, who can’t believe you can speak to a real person in this day and age! Back then in August 2001, I didn’t think much about the PR LEADS contract, to be honest. After all, I was an in-demand speaker talking about online marketing at conferences ranging from Beijing to Budapest. I was a speaker, author and consultant. Period. This PR LEADS thing was a sideline. Then one day when I was bicycling, I hit something in the road and the next thing I knew, I had a broken elbow and a broken wrist. I couldn’t travel. I couldn’t even get dressed! I figured if I could sell 5 PR LEADS a month, I could pay my mortgage. I called my friends in NSA and sold 5 subscriptions. The next month was September 2001 and we all know what happened then. For speakers, it also meant conferences were being cancelled so work that I was expecting just disappeared. In September, I sold 10 PR LEADS. The next month I sold 20 PR LEADS. Then I raised the rates. By February 2002 I realized I was in the PR LEADS business. That’s the short story. I tell a much longer story with humor, pathos and tips for growing your business. I know you have a lot to do today so I’ll share a few of the many tips that I hope will help you grow your business! 1. One business leads to another. 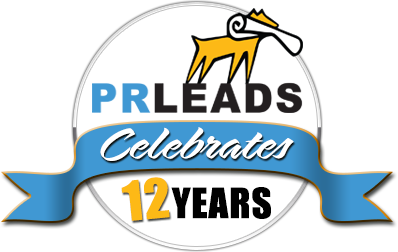 PR LEADS led to additional services like press release writing and distribution, media lists, coaching, consulting and of course, speaking. Oddly, it also led to Great Teleseminars, which was a business I started to record, edit and produce teleseminars and CDs. Thanks to Dave Anderson who said to me in 2002, “You do teleseminars. I want you to do them for me.” Those two sentences made me zillions of dollars. Yes, zillions. Listen to your clients. They know what they want. Give it to them and you’ll do well. When free teleseminars came along, clients ran to them. But it was a good, long ride and some clients who want done-for-you service are still on board! 3. Your clients open doors for you. I’m Mr. 6-degrees of separation thanks to my clients who are influential experts and well connected in their industries. I’ve helped them and they’ve helped me! Too many names to list here, but you know who you are! 4. Serendipity happens. I’ve had days where two people named Joni sign up. They spelled their names differently, but both were actresses in movies with Elvis. It doesn’t get any weirder than that, except it does. Many days people with same last names signed up. Many days. I’ve had clients name Freud, Picasso and Steinbeck. And of course, relatives of famous people like the daughters of the cartoonist who created the Blondie comic strip and the daughter of the creator of Candid Camera. It isn’t exactly hanging with the Kardashians, but I get a little buzz from rubbing shoulders with the Rich and Famous. 5. I’ve helped launch many careers. It’s always great to hear someone like Amy Lynch, say PR LEADS helped catapult her business. Very gratifying indeed! 6. People think I’m a great marketer because I built a great business. Truth is, the service is great. People told their friends and they told their friends. That’s how you build a business. I just helped people along the way with support, answers to their questions, teleseminars and tips to train them and a willing shoulder to cry on. Maybe serving your clients is great marketing! 7. The Law of Attraction is an amazing principle. My mastermind pal Roxanne Emmerich told me when I started PR LEADS to “build it and they will come.” They did. 8. Your competitors can become your best friends. I don’t know where I’d be without Joan Stewart, Jill Lublin, Jess Todfelt, TJ Walker, Karen Friedman, Marc Harty, Susan Harrow, Henry Devries and David Newman whose feedback and friendship have helped immensely. They could have seen me as competition, but they knew better. 9. Help comes from the strangest sources. Years ago, some unknown guy named Timothy Ferriss kept emailing me wanting to do a JV with his new book. Every message was marked with “URGENT” signs, which I found more than a little bit annoying. “Who is this guy?” I thought. I did a deal with him and he mentioned PR LEADS in his book as a trusted resource. His book, of course, was the sensational bestseller, “The Four-Hour Work Week.” That link led to many, many clients. During the depths of the recession, it was nice to see his readers clicking that link and becoming clients. I guess the Law of Attraction was telling me that his messages really were URGENT – not for him, but for me! 10. Make alliances. Patricia Fripp and Alan Weiss, who featured me at their Odd Couple conferences, helped introduce me to clients who, I must admit, are among the smartest, savviest and most successful consultants around. They also stick the longest! Lesson: The bigger they are, the nicer they are. 11. Have good advisors. Mark LeBlanc saved PR LEADS. True. In the early days, I was very far apart from the other side in a contract negotiation. Mark proposed a solution that brought everyone together immediately. Immediately. Stroke of genius? Let’s just say he had the right background. Find a business advisor, coach, consultant who has been there and done that. 12. Get a good partner. The folks at PR Newswire are the best. Not only do they have fantastic customer support reps (we need them as much as our clients!) but also their management – Sandy Azzollini and Maria Perez – are top notch people you can trust. 13. Get a good Webmaster. Adam Hommey is the best. Find a Webmaster who is a marketer. They can always find artists to make your site pretty. If you find a Webmaster who is an artist and not a marketer, expect to struggle. 14. Enjoy your clients. I’ve gotten to help and know literally thousands of great people who have enriched my life. Thank you very much! And stay tuned for the next big thing!